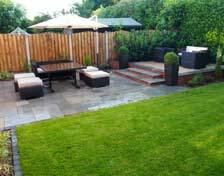 Marshall’s Landscaping is a family run landscaping company based in Yorkshire and working in and around Leeds. We undertake landscaping projects solely for residential customers and are proud of our work. Without the pressure of large, monotonous contract work, our team’s complete focus is on providing an individualised service at the best possible price. Why do we only work on residential landscaping projects? This is simple – the smaller scale, more personal nature of this type of work requires varied skills and keeps our team interested, enthusiastic and keen to face new challenges. Our team is well-respected and we are proud that they are well-mannered and approachable landscaping professionals who you will be happy to have working in your garden. 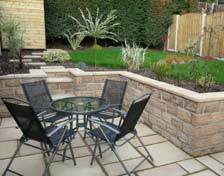 They work with the utmost attention to detail and are passionate about their trade, creating stunning gardens for happy customers. If you are based in Leeds or the surrounding region, and would like to know what we can do for you, please contact us on the number above, or using the form on this website. 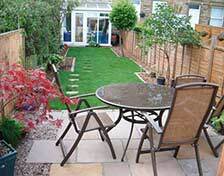 We will gladly visit your garden to discuss the potential transformation, large or small, and provide you with a prompt, detailed and competitive quote.